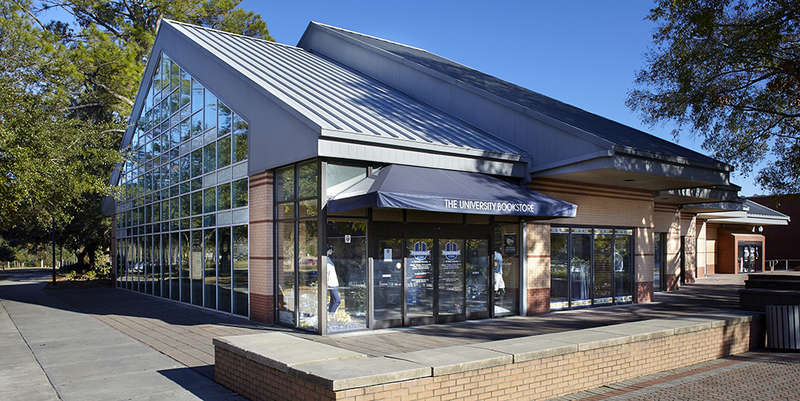 William M. Bird & Co.
Georgia Southern University’s store is a major hub of campus activity, serving over 20,000 students who purchase everything from textbooks and school supplies to novelty gift items and accessories. 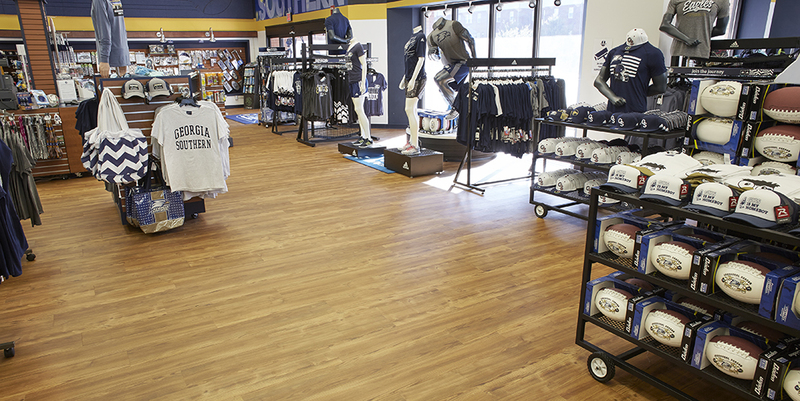 During football season, the store is jam-packed with shoppers buying GSU Eagles-branded team “spirit wear”. 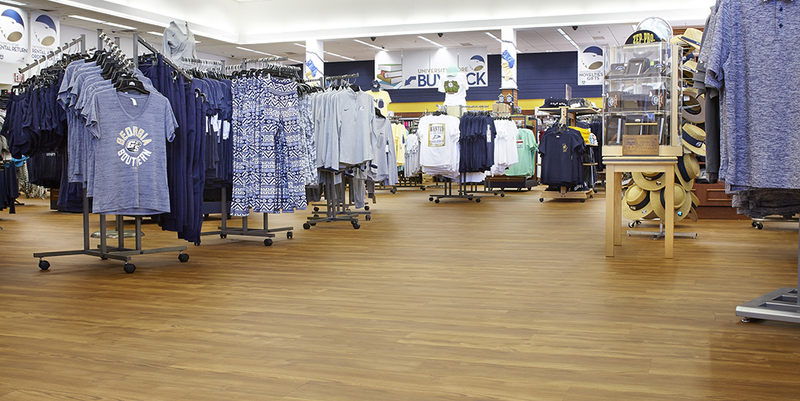 To replace the flooring during school break, the facility and maintenance managers sought a wood-look flooring that could stand up to high foot traffic and spills and provide easy maintenance along with durability and longevity. Aspecta Five provided the high-performing, great-looking solution. Style: Aspecta Five in Melbourne Elm - Autumn offers graining and color that can add clean lines and interest to all interiors. 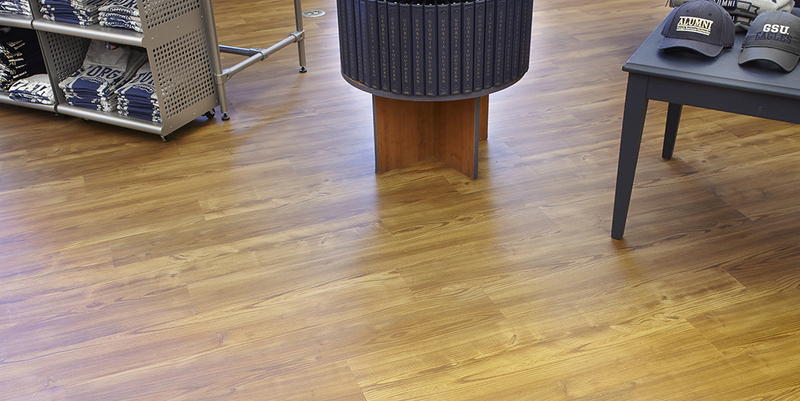 The design can be used to expand exisiting oak selections or work as a standalone floor. Eithe rway, Melbourne Elm is an attractive foundation on which to build design inspirations. “The Metroflor team was very helpful in the selling process, joining Tyler from Statesboro Floorcovering and me to introduce the product. After discussing the features and benefits, it was clear to the GSU staff that Aspecta Five was the best solution for an area that could see traffic from 20,000 students, rolling clothing racks, etc. We sent in full size planks for the final color selection process. The Aspecta sampling program is really second to none in terms of availability and shipping — very helpful to the decision-making process.